This blog is a collection of my experiences and findings in the Lync world. It is intended to document my experiences, and at times frustrations, with Microsoft's Lync and surrounding technologies. And more importantly...offers a central database for quick reference. This blog is separate from LyncSorted and thus runs its own subscriber feeds. 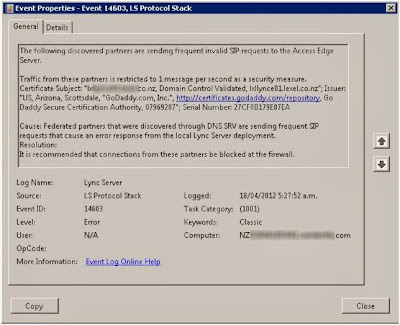 The cause seems to be Lync still sending discovery packets every 10 minutes. 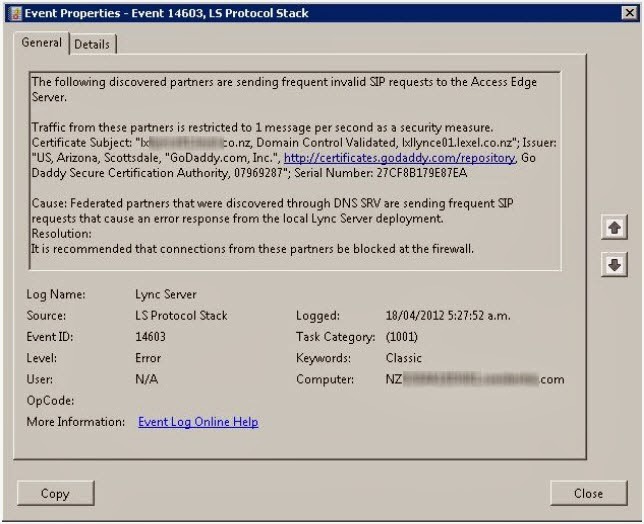 If federation is allowed, add the SIP domain to the allowed list, if blocked - add the SIP domain to the blocked list. Schema State check has failed. Install-CsDatabase : Command execution failed: Cannot find any suitable disks for database files.